Overflowing glass of beer. 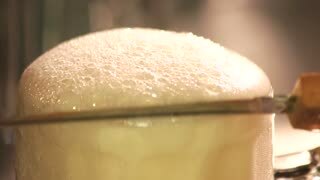 Froth overflowing out of beer pint, close up. 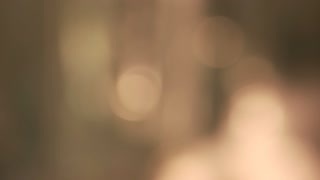 Cutting beer froth, slow-mo. 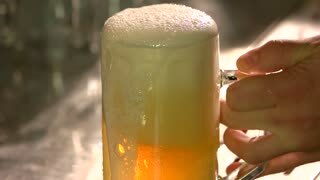 Close up beer head froth carefully cutting with knife. 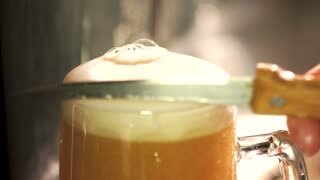 Lager froth cutting with knife, close up. 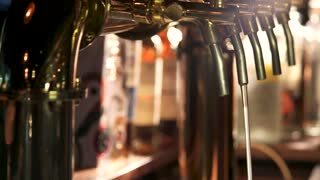 Foamy head of lager beer cutting. 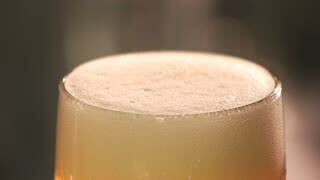 Close up light beer froth cut. Light beer head froth trim. 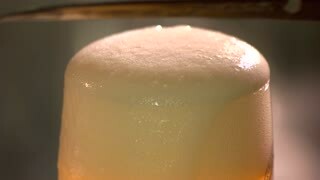 Close up beer foam reducing slow motion. Macro view creamy beer froth in a glass. Professional beer cut froth.